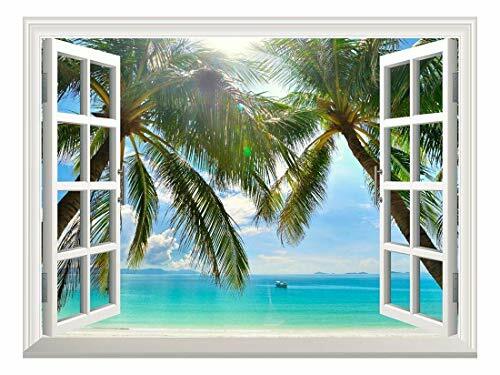 wall26 Removable Wall Sticker/Wall Mural - Beautiful Sunny Beach on a Tropical Island with Palm Trees | Creative Window View Home Decor/Wall Decor - 24"x32"
I love this wall pic! I put it up in my cubicle at work, since I moved from a window spot to an indoor cube, and it's awesome. I find myself staring at it and it's unbelievably relaxing haha! It was as beautiful as it looked online. Easy to put up, looks really nice. Got a silk palm to go with it so it's Florida whenever my mom looks at it. Someone suggested a squeegee to get all the bubbles/wrinkles out and it works wonderfully.